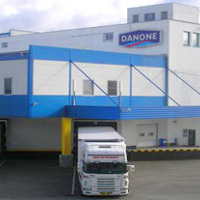 ISS in the Czech Republic has won the tender of providing a wide range of services for the Danone production plant and offices in Benesov, Czech Republic. Danone was looking for a service provider that could deliver consistent multi-services. Czech Republic is the first country, where Danone realized such a complex project. Commencing 1 July, 2012, ISS started delivering the required services: Cleaning, Landscaping, Property, Pest Control, Support Services and others – all of these supported by a help desk function. The implementation phase will end in December 2012. This new contract also holds the potential of launching services in Danone Head office in Prague later in 2013. Country Manager of ISS in the Czech Republic, Jan Bohacek said: “The Food & Beverage sector is one of three top prioritized customer segments in Czech Republic. We provide services to other clients within this sector already such as Nestle, La Lorraine, Pilsner Urquell – and we are proud of winning Danone as it is a prestigious customer for us. We believe in building a long term relation there and delivering the top quality services based on local and global experiences.